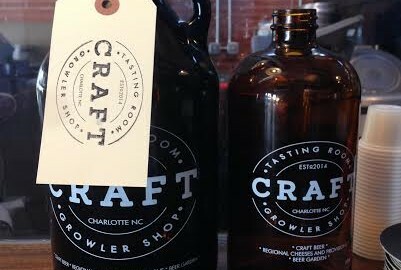 With 36 different craft beer taps inside Craft Tasting Room & Growler Shop, it’s easy to pick one of your favorite craft beers and only drink that. On the flip side you have a wide array of craft beer types that you can choose from. The great thing about growlers is that even if you fill it up with one type of beer this time, you have the option to fill it up with .